I remember as clearly as if it were yesterday. It was at the West Ryde Gym Dojo in 1970. We were practicing multiple attacks. All young men. Sensei would exemplify and then we would attempt to match his example. He had gone first and there were at least eight, maybe ten attacking him. Because we thought Sensei was invincible, we would go all out and as hard as we could, trying to plant a strike. He didn’t mess around either. It was like being hit with a Mac truck padded with cotton wool or the wind at the edge of a cyclone. But we’d get up as he’d taught us to, and re-attack again and again. On this fine day I was one of the uke. I must make it clear, for the record, in those days we did not “TAKE” ukemi for Sensei. We ATTACKED with all our might using real attacks brought from other disciplines such as judo, karate, boxing etc. Simple as that. And we would end up flying regardless. We would keep getting up and repeating until he finally called, “Yame!” We considered it a courtesy to attack as hard, fast and ruthlessly as possible, holding nothing back, so that Sensei could continue to improve himself. It was our obligation to him for so selflessly providing impeccable instruction. And as I stood back up from an ukemi, I turned and saw it. Sensei’s back was exposed for a strike. Too easy. He was mortal after all and judging by the way they had hold of him, and they were hanging on, I would have time to cross the four metres or so, tap him on the back, symbolizing a strike, and put paid to all the myths after all. Juvenile male ego, the thrill of battle, the rush of biochemicals and the sheer coincidence was too much. I moved in. Training continued as normal and Sensei retained his unassuming Zen demeanor as usual. To him it was just another day. And that notion soon took our minds as well, as training forged quietly and purposefully onward as it always did. I do not have an explanation. I experienced what I experienced. Nobody can take that away. We could talk till we are blue, we could develop theories about holes in donuts and indigestion, we could subject ourselves to the tedium of all manner of inanely irrational gibberish from the society of skeptics, we could argue the point, we could write blogs, we could have long forums and discussions, we could make movies depicting people flying over buildings and fighting in mid air using SFX props, we could talk some more, we could talk a lot; and we could talk even more. But none of these will alter one atom of fact. You know what? That it happened there can be no doubt. It simply did. And that was not the only instance. Over time, similar things happened with Sensei and also other individuals as well. But these are other stories for other times and I’m trying to train myself to keep these blogs shorter. In the very last chapter, titled “Self Defence In Its Deeper Meaning” he explains some key points, which should be made freely available and clear to all new students. And regularly reminded to older ones. It would save us all years of blind struggle to be so apprised. Tohei Sensei describes how nature already protects life. That when we sleep, whilst we have no control, there is a benign protecting force ensuring the heart continues to pump, and so many other functions, so you can awaken to another day. He goes on to say how budo is not about ego or bragging, but rather following the principles of nature and to improve and integrate your personality. I cannot copy the whole chapter for obvious copyright reasons. I suggest you find a way to get hold of this particular book. It has immense value in so many ways and was written and published when O’Sensei was still alive and with his supervision. Tohei Sensei writes a poignant foreword and a remarkable introduction. The book is replete with salient anecdotes, philosophy, body-mind explanations and rare photos. The section on The Founder alone is worth the trouble of finding this old hardcover publication. I will quote some relevant parts however as being salient and universal wisdom. The secrets of so called “no touch” or some of the other mysterious things you will experience if you train for more than a couple of years half heartedly, but instead seriously and as a way of life, all your life; are no mystery at all. They are not ego driven, they are not short cuts, they are not movie magic for the lazy, they cannot be bought or sold; and they are not any of the other much talked about but unproven fantasies. These “mysterious” happenings occur spontaneously as required, as a gift from nature and the universe. But not until you have made yourself ready and worthy through constant participation in the shugyo of self-purification and clear thinking, with pure intent dedicated to functional Aikido/Budo adding to the greater good and protection of all life. They happen not because of your volition, but regardless of you. They are the result of ongoing dedication to excellence in skill, and service to life, where you will have made youself a vessel and instrument worthy of defence by nature herself. There is an interesting harmonization to nature that young men acquire when they are asked to train at a particular level, thinking in a particular way, and programmed to respond as if they were hypnotized and given a word to respond to. Yes, it is programming. For the simple minded, we are tuning the mind and body to respond to a particular set of signals, just as we tune a signal for reception at a particular frequency, so too the human body can be attuned to respond to signals of both nature and a sender. 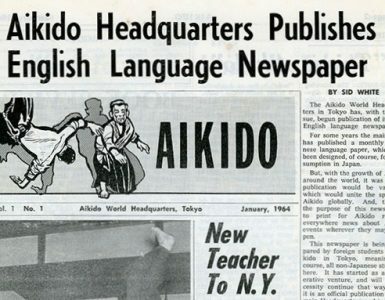 Aikido is not about creating movement or signals from nothing, but learning to amplify signals of nature or learning to amplify the movement, motions, and possibilities that are already there. Using sounds, and thoughts is not a big deal when we go to a concert to watch someone perform for us, but it is an impossible thing to believe when a group of students is immobilized during a demonstration or a practice session, our minds can’t seem to grasp what is happening right in front of our noses. In some ways, it is like the magician’s slight of hand. We see it, but we think we see something else, or we believe it to be something else. Most of us believe it is trickery, which is a strange way … it is. Well, it is not magic, nor is it some hidden technique learned by the light of the moon out of some old ancient book or ancient manuscript. It is a holistic example of applying scientific principles that work for interrupting the thought processes of the mind and we all know the mind controls the body, don’t we. Well, maybe not all of us do? Maybe more of us need to see that light, and feel the signals that trigger our temporary unconsciousness, eh? Of course, it is just a temporary fainting, or so it will be diagnosed, and it will be explained away in a hundred different ways … until … it happens again and there is no reasonable scientific explanation, and that is what ticks me off … when people make up ridiculous explanations when the facts are right there in front of their faces the whole time. The group has been pre-programmed to be susceptable to the phenomena introduced into that particular situation. Any number of people in a given group are easily influenced if the right signals, words, and visual stimulation can be defined for that group. YOUR TASK, as a student, is to define what that phenomena or conditions was used to achieve the desired results. It always has been, and it always will be your task to figure how how it works and what makes it work. Sugano Sensei is the one you are talking about yes? I went to live in Australia, after I received my Shodan in New Zealand, and spent over 15 years there. I taught classes for over 7 years and was very popular, and also made a lot of friends. I also had the oportunity to attack Sugano Sensei in a multiple attack situation years ago. My experience was with a 5 or 6 man multiple attack on him. I also was coming up from a roll and saw the opportunity to touch Sugano Sensei on the back, as he appeared very busy with what was gong on in front of him. I came forward and tapped him on the shoulder, I did not fall over or collapse or feel an invisible wall that I ran into, sorry. These people are not gods, they are only human beings like us all and cannot be perfect. I saw an opening and took it, as others should do when practicing multiple attacks. There is no need to really hit the person or hurt them at all, just a tap on the shoulder or other area to let them know there was an opening and perhaps offer a chance to improve their awareness and skills. Is this not the best way to improve for us all? We can all learn great things from others who have gone before us, but please keep in mind that they are only human beings jut like us. I have met many teachers who have great techniques, and I learn lots from them. I also have met many teachers who are not very good, and therefore learn very little from them. Be careful not to place people onto a pedistal, and worship them too much, as they may well fall off. I feel encouraged by the comments and phone calls re this blog. Encouraged to go back to school and take up writing and articulation lessons, that is. So far everyone has responded to the distraction and no-one to the main point. Thanks for this article and interesting contributions in the past. May I ask what did your classmate mean by ‘fumbled’? And now that 28 yrs have passed since that incident,what is your educated guess on what really happened? Say, where you struck from a blind angle by a flying uke? This article reminds me of some of the things I was privileged to witness in Okinawa while I was stationed at Kadena AFB from 1964-1966. On base I was able to study Shorin Ryu with Sensei Fusei Kise (now Master Kise) whose Sensei was Master Hohan Soken and off base in Koza with Sensei Seiyu Sinjo, his Sensei was Master Uechi. The Okinawans were humble people and for the most part not into displays of their extensive martial arts skills. 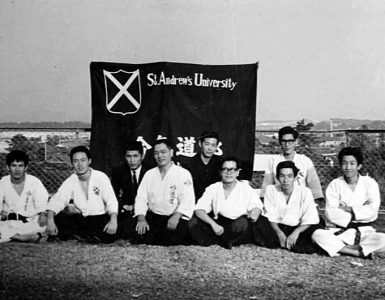 When we went to Koza to train with Sensei Sinjo, he just wore a plain black belt and all the other Okinawans their wore white belts. 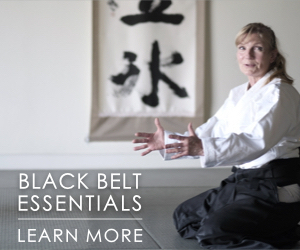 Colored belts were for those of us who were American and trained in other dojos. 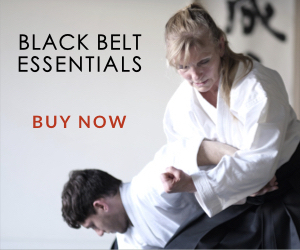 The training was hard and rigorous and not to attain a belt but just to learn. 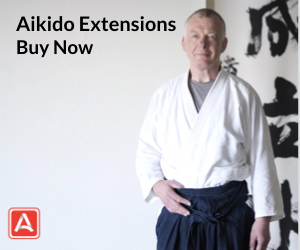 Sensei Sinjo did not indicate to us that he was an 8th degree in Uechi Ryu. We first came to the dojo and sat in seiza. We did this for several weeks, then one evening he came to us and said, “You want to learn karate?” Oh yes Sensei, we replied. “Good,” he said, “You bring gi next week”, and that is how we started. Master Uechi would come to the dojo about once or twice a month and put us thru San Chin. I don’t remember him wearing a red belt for these sessions, red belts were worn during exhibition’s and tournament’s. I would very much like to address the point, but I guess I am dense. Please illuminate for this poor dullard. All the stuff in bold-italic text and the final sentence. Good men have died and bad ones lived on for awhile, still.But all men have to shuffle off this mortal coil. Clinging to it is delusary.It’s the quality of the life rather than the quantity. Having said that surrendering to God’s ( or call Him nature etc)Will while trying one’s best in life is wise.We are in transition, I believe. What you suggested is interesting and I keep an open mind to learning. But I suspect this phenomenon cannot be kept in a box eg the aiki box, or another art form.It could be so or it could be your interpretation of the past event. The Truth? O sensei in his writings appears to have been very child like and surrendering to the ‘Higher Powers’ volitions. Many other people likewise. Hope I communicated my thoughts well enough. Antoine, Thanks for the feedback. These are all good points you make. Mere goodness is not enough. It’s necessary to develop the ability to support and protect goodness collectively as well. Hence the peaceful warrior and protector, a real principle put in practice well or badly through the ages. Whether one sees it as either a practical or “divine” principle is in the eyes of the beholder. It’s mathematically irrefutable and universal principle. But one with no guarantee of permanency unless cultivated. For example, you value both of your feet because they serve you. Chances favor that you would not gratuitously chop off a foot for no good reason. An accident, bad judgment or a psychiatric episode may see a different result. Either way it’s to do with integrity. A unit, for example a blood cell that is useful to the whole, in this case the body, is less likely to be sacrificed by the collective, the body before its natural life cycle. The innate survival principle recognizes that it may need it again. There is a tale that survived the ages. I think it was Mohammed. His enemies wanted to kill him because of his idealistic precepts and preachments were inconvenient to their self-serving ways. But they found themselves with a conundrum, as he was the only banker who did not shave their deposited gold or in other ways pilfer when he held their capital in trust. They could not trust each other in a predominating culture of thieves and he had broken from the rule of lawlessness. Stalemate. 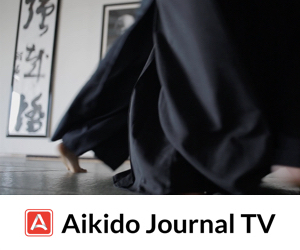 A similar stalemate exists in Aikido. It is sometimes criticized that training appears to be “cooperative” and not a contest. Practitioners seem to neutralize without either winning or losing and end up doing what most old masters of any warrior method, do early. Reconcile and drink tea, or whatever, instead. It’s a different paradigm not necessarily new. As Tom Crum says: “Who wins? The rain, the waves, the beach, the wind, the trees, the rocks…? They coexist despite some degree of friction. The more primitive instincts want to see blood, and a “loser” that the predator can beat to a pulp and then eat. It’s genetically ingrained cannibal instinct from the millions of years our ancestors, facts generally suppressed by archeologists and scientists because of ecclesiastic political pressure, behaved this way. Aside from throwbacks that get addicted to violence and murder, you generally see cannibalistic tendencies expressed with regards money in today’s world instead. As misuse of trust that leads to murder and other devastation at a distance. Banks, for example, used to know how to make themselves indispensable because of viable trust. Now we don’t know. In the face of the global financial crisis they could be dubious as a result of various concatenations of misuse of such responsibility. Everything is tied in a no one is separated from what goes on around us. People may go back to stuffing their mattresses with devalued cash as in the great depression. I hope not. Has the so-called free world dropped the ball? We shall see in the next few years and it is hoped that the lesson is one in that we will survive to be implemented correctly. Any individual or organization that has reliable integrity and can be trusted, who substantially serves the greater good enough to be valued thereby, is less likely to be attacked. No guarantees, just tipping the likelihood the other way somewhat. At least by most those that entity protects, who are reasonable, and who understand the value of being treated well. Sort of like the big tree that protects the understory sufficiently to provide a balance of shade for more delicate plants to survive, by holding water and mitigating excess heat and other conditions that lead to desertification. It assists conditions that allow forest to proliferate with life. You can call this principle Aikido, Permaculture, Fred Flintstone, or whatever, I don’t care. But it is useful in generating more than just a temporary oasis, but a sustainable lift which alleviates some measure of unnecessary suffering. Also, for a while, as long as maintained, it mitigates mass extinction. I think Ueshiba and Tohei were not merely referring to some theoretical concepts they read in a book, or got by sniffing mushrooms, but a fact they noticed to be extant. We evolved from the caves and jungles and survived millions of years of cannibalism, from ancestors who eventually learned to survive by expressing immense social skill and communal spirit, tribe, family, clan… call it what you will. This because it works. Or can work when the general consensus allows it to work and makes it work by intelligent cooperative endeavour. It was TEAM EFFORT, more so than mere fighting ability, that saw those who did survive, see it through long, hard, bloody feudal systems where we could build nations and superb infrastructures where we could again become ignorant, arrogant, self serving, getters and takers who ignore even their friends in need, let alone those deemed to be strangers. And to destroy the environment, and consent en masse to the flawed judgments of the too comfortable. And make environmentally as well as humanly devastating wars and then live in denial of it all, until, we will have succeeded in driving ourselves back to a primitive state where we will yet again have to learn the basic fundamental, root, core, foundational lessons of family, tribe, clan, community, authentic team working and being truly human from the inside out, BEING INTENSELY USEFUL TO THE COMMUNITY instead of merely faking it by day. I note that when put into practice it generally works well, and when not, then not. Everyone is free to make choices and if nothing else consequences may act as the educating force. If we survive them. Thanks again. Wow! Great post and I hope many people can read and digest your words! I dare not add much more, save share some fleeting thoughts that sprang to mind while reading it. Once I read that a holy person advised people to read the ‘book ‘ of creation and learn from it. And O Sensei taught that farming and his aikido are inseparably entwined! Among the wisest people I had the pleasure to meet happen to be farmers, quiet, philosophical and hardworking.O Sensei seems to have worked/trained hard and prayed a lot too! In the Bible we find that Jesus warned that who fights with the sword shall perish with the sword.And much more material that helps society exist smoothly. As for the original topic of your entry, I don’t know if this Active Protection towards Nature’s children can be harnessed consciously and reproduceably in an art form, so to speak, though! Such “empowerment” to the individual I suspect can be even more delusional and counterproductive by inflating the ego ( I am protected by a special method) and burst into smoke and shock. Being natural, child-like while working hard and praying a lot may be all that should be done. The rest just happens.Amen. I suppose we can only try and see what pans out as we go along. All the ways in which we work on “unifying body and mind” – including breathing meditation – are about establishing contact and harmony with the subconscious and the autonomic nervous system. If Buddhist theory of the collective subconscious is correct, that certainly explain Nev Sensei’s experience. In Vajrayana (including Shingon) and in Omoto-kyo, that collective subconscious is also regarded as the fabric of the universe. My personal opinion on the collective nature of the subconscious? – the many times one thinks of a friend or co-worker right BEFORE they call one’s cell-phone, the many times two people in a room will start to utter the same thought simultaneously, etc etc suggests that Buddhist theory is correct.